Who's next? Brad Pitt? George Clooney has just added Matt Damon to the cast of his next directorial effort, Monuments Men. That's the film based on the non-fiction book by Robert M. Edsel I blogged about in October . The story is about about the men and women charged with rooting out and returning the many valuable works of art stolen by the Nazis during World War II. 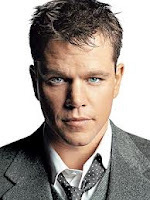 Matt Damon will join Clooney who directs and stars, along with an all star cast that includes Daniel Craig, Jean Dujardin, Bill Murray, John Goodman, and Cate Blanchet - Paul Giamatti is still rumored to join the movie which is set for release in London at the end of 2014. Wow, that's a long time in the future. 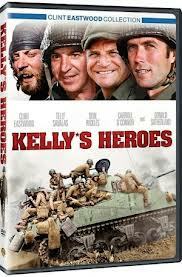 Some cynics are talking about Clooney's cast as being bloated with celebrities - comparing it to the popular Kelly's Heroes, the 1970's comic war film about a group of soldiers who stole across enemy lines to get their hands on Nazi war treasure. The movie starred Clint Eastwood, Donald Sutherland, comedian Don Rickles and a slew of tv stars at the time; Telly Savalas (Kojak), Gavin MacCleod (Love Boat) and Carol O'Connor (All in the Family). I think that's absurd and you really can't compare the two films or their casts. Clooney has assembled an ensemble with the gravitas to make this work. Monuments Men sounds like it could end up to be a great wartime action drama. And since none of these actors are known for making safe and easy choices, I credit Clooney's selections. I wonder? Will it be one of the best picture candidates we're talking about two years from now?